Samsung Galaxy Discover is one of the newcomers in the popular Galaxy series which comes with nominal price tag and decent specifications. The smart phone launches with 3.5 inches HVGA touch display with average ppi (pixels per inch) density. It Measures 4.59 x 2.42 x .45 inch and weighing nearly 124 grams. The main attraction is its proprietary TouchWiz UI. The handset runs the Android 4.0 Ice Cream Sandwich operating system. 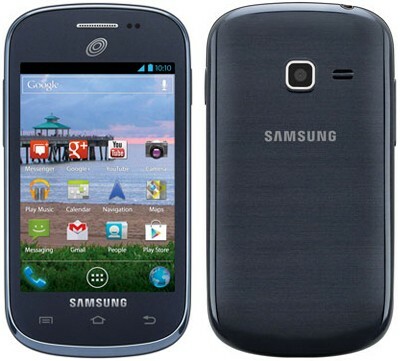 Samsung Galaxy Discover is powered by an 800MHz Qualcomm MSM7225A single core processor with inbuilt graphic support. The smart phone has 3 megapixel rear camera with 3x digital optical zoom. There is no LED flash on the device. The handset also provides 2.7GB user accessible internal storage and it can be expandable up to 32GB via micro SD cards. Samsung Galaxy Discover carries a standard 1,300 mAh Li-Ion battery which offers 8.5 hours talk time. Advanced connectivity options like 3G, Wi-Fi, Bluetooth and GPS are enable on the device. Earlier, Samsung Company launched two smart phones with advanced features named Galaxy Young and Galaxy Fame. There is no information about the price tag of the Galaxy Discover.